Every other year, the Massachusetts Cultural Council awards Artist Fellowships in the traditional arts, recognizing individuals for their artistic excellence, authenticity, and deep roots in traditional culture. 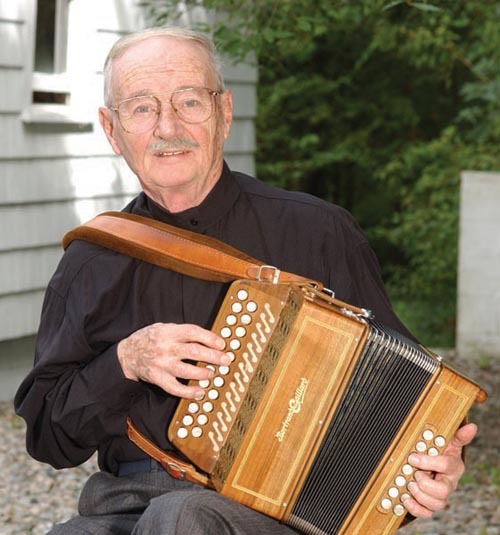 Among the awardees this year is Irish-American button-accordion player Joe Derrane (Randolph, MA), who is also a National Heritage Fellow. Joe Derrane is a living legend in the Irish traditional music community. Born in Boston to Irish immigrant parents, Derrane developed an early affinity for the button accordion and Irish traditional music. At age 14, he was playing regularly in the ballroom dance scene that was booming in the Dudley Street section of Roxbury. At age 17, Derrane recorded the first in a series of 78-rpm recordings, which have since become legendary in the Irish music world. Decades later, Derrane’s musicianship is marked by his unique ornamentation, vigor, and flawless execution. In addition to his virtuosity on the button box, Derrane is known for his tune compositions, many of which have entered the repertoire of Irish musicians on both sides of the Atlantic. 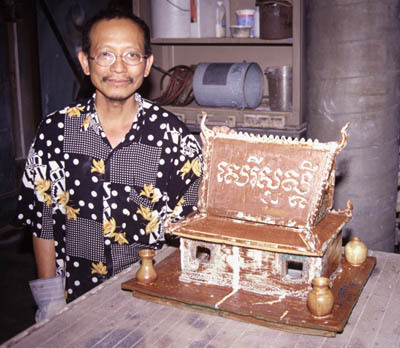 An MCC Artist Fellowship also went to Yary Livan (Lowell, MA), master of traditional Cambodian ceramics and kiln building. His work draws on the rich heritage of Cambodian culture, including influences from ancient imperial Khmer kiln sites, such as Angkor Wat, and incorporates Khmer imagery, relief carving, and design. Livan recently served as master artist in MCC’s Traditional Arts Apprenticeship Program, passing on what he knows of kbach, the basic element of design in Khmer art, to apprentice Samnang Khoeun. The two are building a smokeless wood-burning kiln on the grounds of Lowell National Historical Park. In addition to these two Artist Fellowships in the Traditional Arts, four Finalist awards were announced. 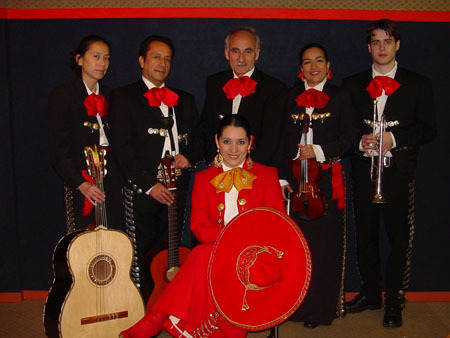 Verónica Robles has Mariachi music in her blood. “I first learned the traditoinal music of my home country, Mexicao, from my grandmother, whom I would spend hours with in the kitchen as she prepared dishes such as chicharron prensado, con calabazas, elote y nopales. . . ” It was in Mexico City’s Plaza Garibaldi, the cradle of Mariachi music, where Verónica was introduced to the Mariachi group led by El Chiquis. She began working with his group at age 15, learning hundreds of songs and musical styles. Robles has made Massachusetts home since 2000, where she specializes in performing for young audiences through school assembles, residencies and dance workshops. Her television show, Orale con Verónica, has been on the air since 2002. Khenpo Chopel was born in Tibet and became a monk at the age of 14. Holding the title of “khenpo” (a spiritual degree given after three years of intensive study in Tibetan Buddhism), Chopel is a master torma maker and tantric practitioner. 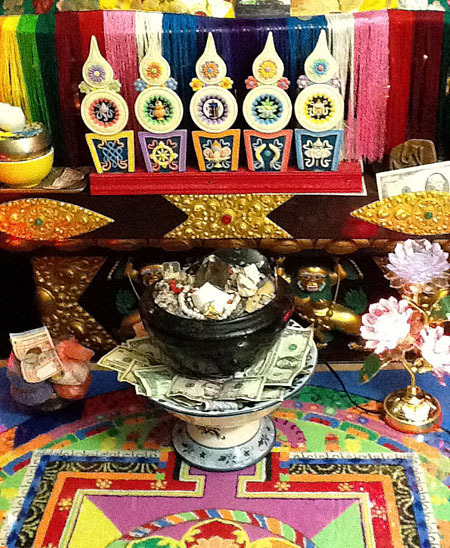 Tormas (pictured above) are a traditional art form essential for everyday practice in Tibetan Buddhist monasteries and households. These ritual forms — in conical shapes of bright colors — are made both as an offering to a deity and as a representation of a deity. Since 2009, Chopel has been living at the Drikung Meditation Center in Arlington, Massachusetts, where he serves as a master torma-maker and tantric practitioner. Jorge Arce grew up in the Bélgica, a working class neighborhood of Ponce, Puerto Rico. Ponce is known as the wellspring of bomba, plena, and danza, traditional Afro Caribbean styles of music and dance. Born into a family of dancers and singers, Arce grew up with Plena folk groups and musicians. Arce credits Don Rafael Cepda and family with expanding his knowledge of bomba. In addition to his life-long work in Bomba and Plena, Arce is an experienced actor, dancer, and cultural historian. He is considered an expert on the history of Puerto Rican’s African people and their descendants. 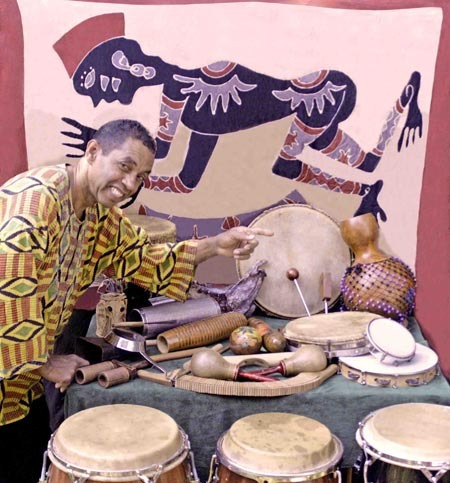 Touring the United States since 1975 as a musician and educator, Arce continues to give workshops, lectures, residencies and performances at schools, festivals, and community organizations. By the time he was an accomplished saxophonist, Danny Mekonnen sought out master Ethiopian musicians to learn to play the traditional instruments of his Ethiopian heritage. 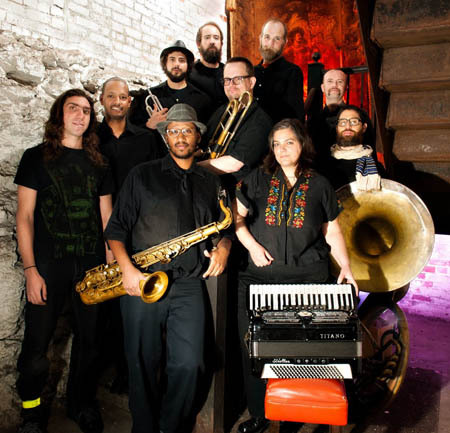 In 2006, Mekonnen founded Debo Band, an Ethiopian music collective melding traditional East African polyrhythms, American soul and funk, and the layered instrumentation of Eastern European brass bands, to form a sound that is a jubilant reinvention of music that once rocked Ethiopia’s capital, Addis Ababa. He also performs for events within the Ethiopian community, such as weddings and adoption community gatherings for American parents of Ethiopian children. Next Next post: Afro Caribbean Workshop today!